Ford is releasing its first-ever trend report, “Looking Further with Ford”. 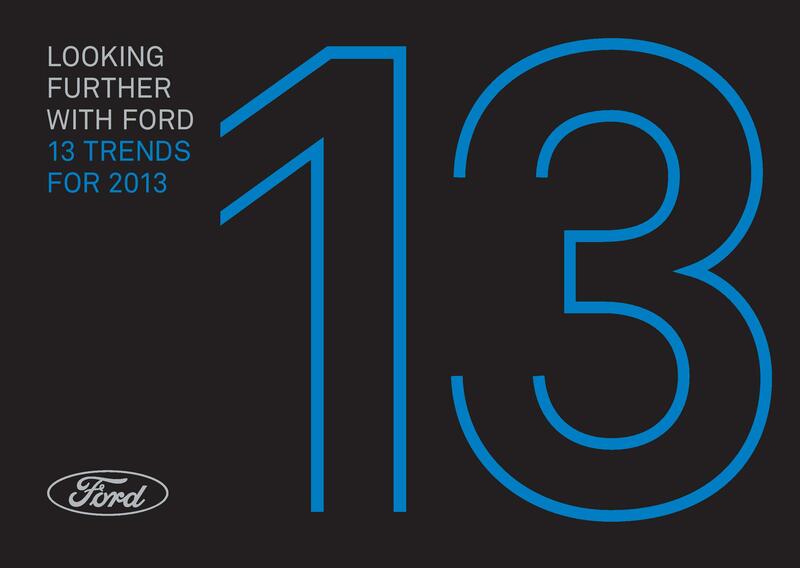 This report reveals Ford Company predictions about consumer habits and behaviors expected to shape 2013 and beyond. Their research suggests “the return of trust in companies and brands” and the “rise of personal accountability”. Will 2013 be marked by acceptance and optimism rather than distrust and cynicism? mentioned in the JWT post, I see 3-dimensional printing and robots as the next big evolution of the human experience, but keep an eye out for “robust human rejuvenation”, that is, the discipline of keeping humans alive longer through the coming therapeutic breakthroughs. (This Tuesday I have a post coming out titled 1000 years young in which I touch on the tipping point to life spans in the hundreds of years sometimes called “Longevity Escape Velocity”). The idea of wanting to be young is ancient. We’ve always searched for a “fountain of youth”. In the 2009 Time Magazine article “10 Ideas Changing the World Right Now” item #5 was Amortality. I disagreed with Time that this was an idea that is changing the world and suggested that GNR (Genetics, Nano-technology, Robotics) would lead us to a radically world-changing place. The questions for us would be, what happens (what are the implications) if humans live to 150 healthy years? (Or Beyond this to 1000 years of chronological age?) If health and happiness are connected, how can we help create happier and healthier communities? 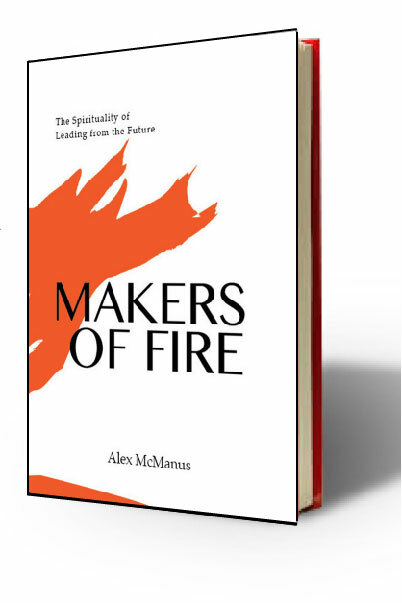 In terms of a rise in “sensory experiences”, as an experience designer who has crafted wilderness experiences in the past, I’m a huge believer in nature as a way to connect with others, to refresh the mind, and even connect with God. Many of us are no longer able to survive without our technology. We suffer from “nomophobia,” the fear of losing or being without our smartphones. According to Pew Research, while many of us had to learn how to be online, generations being born today will need to be taught what it means to be “offline”. I’m wondering if this trend will show up again as we continue to look at forecasts for 2013.